The process is really quite simple. 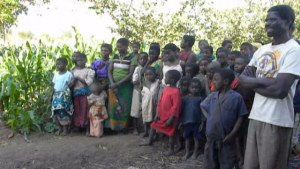 Malawi is the 4th poorest nation in the world and is in need of aid. 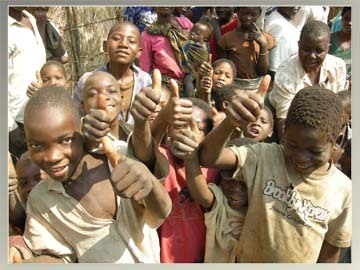 We provide a “Hand up” approach that enables the individuals of Malawi to help themselves out of poverty. When everyday people (like you) partner and purchase a treadle pump – a whole community is able to have an extra growing season for each farmer within that community. When farmers have extra crops they can eat sell more of what they grow and pay for education. When you are educated, you inspire a generation, thus empowering a nation. When you partner and give it as a gift on behalf of a friend, they can feel inspired to pass it on to another friend – when friends partner together to change lives in Malawi, this is a RippleEffect. Rather than giving items – such as tree seedlings, seed crop kits or treadle pumps – directly to individuals, we work with groups of farmers and community members or “clubs”. For example, treadle pumps purchased through Ripple Effect are provided to a group of farmers, who loan the pump out to individuals in the group for a fee. That revenue – along with money raised by your partnership purchases – is pooled to help even more farmers with additional equipment or services. 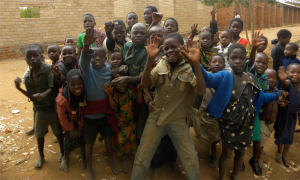 By working with these groups and clubs, we provide a “hand up” not a “hand out” to Malawians, establishing a partnership with lasting positive impact the help people out of this African nation out of poverty. More than 5,400 households are now using treadle pumps to irrigate their crops. 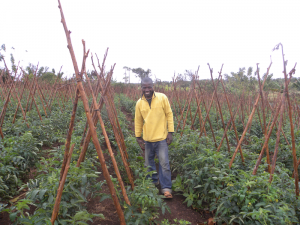 This allows them to grow food during throughout the year, even during the harsh dry season. By participating financially as well as with their own time and other resources, our Malawian partners are truly vested in improving.